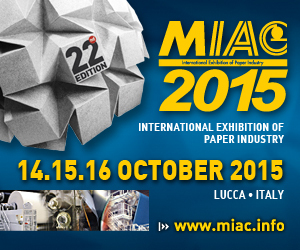 The 21th edition of the MIAC will be in Lucca, Italy from the 14th to the 16th of October 2015. MIAC is more than en international exhibition, it’s especially un interesting meeting point of all the company related to the paper world. During the three days of exhibition Milltex will present all the technical innovations inserted on the last period and that let establish to Milltex a position of absolute relief in the international market.